Following the announcement that the Rise of the Rest Road Trip will kick off its eighth annual tour in Orlando, regional entrepreneurs submitted 152 pitches for the competition. Today, the Rise of the Rest investment team announced eight regional startups as finalists for the pitch competition. Led by AOL co-founder and Revolution Chairman and CEO Steve Case and his group of iconic entrepreneurs, the tour will visit local startups, hear directly from entrepreneurs and, at the end of the tour, invest $100,000 in the most promising local startup through a pitch competition. AireHealth | AireHealth is revolutionizing care management and drug delivery for respiratory illness via a connected-portable nebulizer. The company just won the Crummer Rollins Venture Plan Competition and currently participates in the University of Central Florida Business Incubator Program. Alertgy | Alertgy has developed a non-invasive continuous blood glucose monitor and alert system and is a 2018 graduate of VentureScaleUp. Doghead Simulations | Doghead Simulations creates rumii, a social-virtual reality platform that enables people to educate and collaborate in a 3D virtual environment. Edukate | Edukate is a financial wellness platform that empowers employees with personalized financial benefits and guidance. The company recently graduated from StarterStudio, which also provided seed fund investment. FleetZoo | FleetZoo is a platform that delivers increased profitability to fleet owners in the services and last-mile delivery space. The company is a 2017 graduate of VentureScaleUp, won the Crummer Rollins Venture Plan Competition last year, is a spinoff by a graduate of the UCF Incubator Program (Productivity Apex). InitWeather | InitWeather uses artificial intelligence to develop more accurate weather forecasts for the energy and financial industries. Millebot | Millebot designs and builds a giant containerized 3D printer for on-demand production. Pangian | Pangian is a social network powered by artificial intelligence for millennial telecommuters. The company was a finalist in the 2018 Crummer Rollins Venture Plan Competition and is a graduate of both VentureScaleUp and StarterStudio, which also provided seed fund investment. “What we can all do is recognize that startups are our future. Some could be the biggest companies of tomorrow,” Case said during the recent Lake Nona Impact Forum. 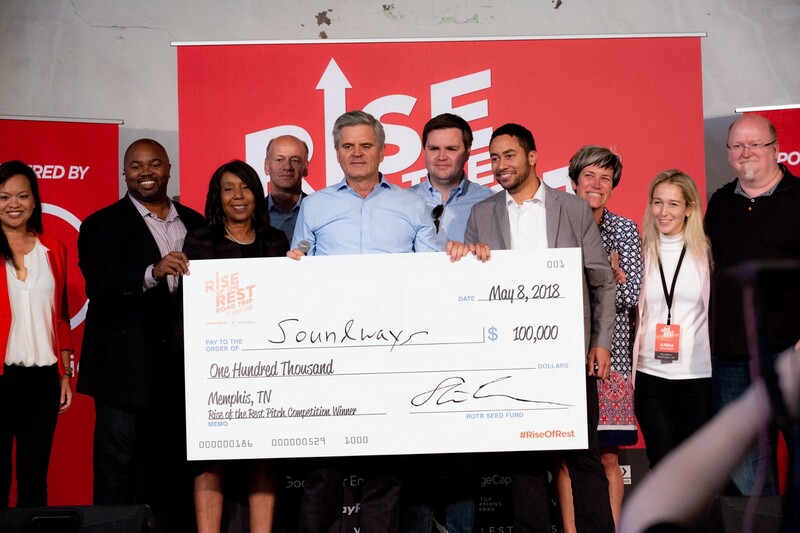 Tickets are now available for the Revolution Rise of the Rest® Orlando Main Event, which will feature a fireside chat with Steve Case and a pitch competition where one local startup will receive a $100,000 investment from Revolution’s Rise of the Rest Seed Fund. The Main Event will take place on Monday, April 29 from 4:30 - 7 p.m. at the Cheyenne Saloon on Church Street in downtown Orlando. Please register to attend to watch these elite representatives from the Orlando startup community compete for a $100,000 investment.